Get creative by learning to draw or paint, use your iPhone to capture and enhance amazing images, explore wood carving or marble paper, or get messy with clay and collages – all through the Clearing Folk School’s diverse one-, two- and three-day Workshop Program classes beginning June 10 and running through November 15. Offerings include courses in the arts, fine crafts, natural sciences and humanities; instructors include history author Jerry Apps, author and performer Roger Kuhns, naturalist Paul Regnier, Beth Coleman, Susan Gould, Charlotte Lukes and more. Registration is now open for the season’s 33 classes. 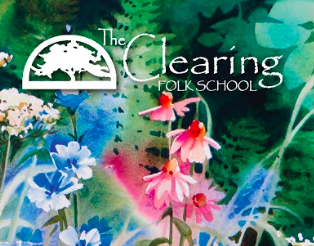 To get more information and register, visit theclearing.org or call 920.854.4088.